Hillfoot offer a range of technical, engineering and logistical services, helping to ensure you receive the steel you want, in the form you need it, when you require it. 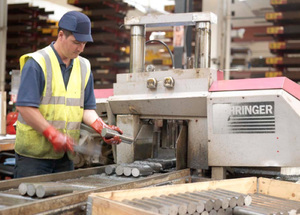 While delivering high-quality steel at competitive prices is key to our business, our value added services and ability to tailor our approach to each customer have seen us establish long-term relationships as the preferred metals supplier to many major manufacturing companies. Click on the links to find out more or contact us to discuss your specific requirements.